Stray away from tradition this Valentines Day and deliver your sweetheart half a dozen multi-coloured rainbow roses in a gift box with a bottle of bubbles for an extra touch of romance! 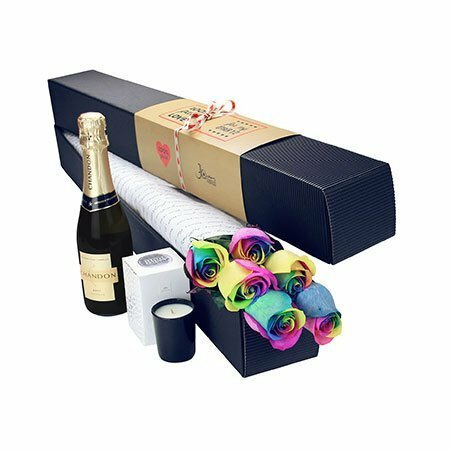 Our colourful 60cm long rainbow rose stems come nestled in stylish box wrapped in our signature `Love Me Tender` lyrical print tissue paper, accompanied by a 750ml bottle of Chandon sparkling wine. Plus order these exquisite half dozen rainbow roses with sparkling wine and receive a FREE fragrant Ecoya candle worth $19.95! EARLY LOVE BIRD OFFER: Order your sparkling wine and rainbow roses delivered the day before Valentine`s Day (Monday 13th February) and receive FREE DELIVERY! *IMPORTANT! 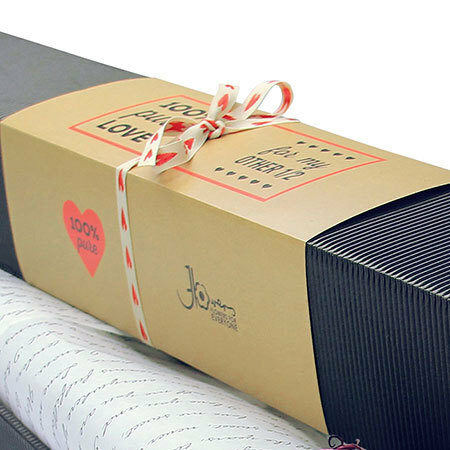 PLEASE NOTE: Due to delivery volume on Valentine`s Day, no changes to orders can be made after 18:00 AEST on Sunday 12th February for Tuesday 14th deliveries. We are unable to guarantee delivery times on the 13th or 14th February - roses will be delivered anytime between 9-5pm (business) and 9-7pm (residential). No re-directs will be possible if the recipient has left the delivery address for the day, however we will try, where at all possible, to accommodate your needs if this situation does arise. We thank you for your understanding! 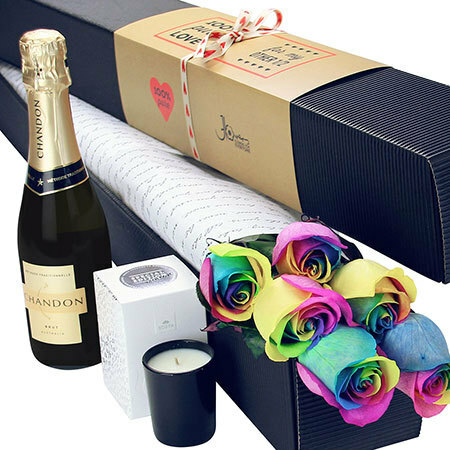 Our Valentines Day rainbow oses, free Ecoya candle and unique packaging are exclusive to flower delivery in the SYDNEY MELBOURNE & PERTH Metro Region ONLY. Order your rainbow roses and bubbles now for Valentines Day via this online florist store, email our fabulous love cupid floral consultants at sales@flowersforeveryone.com.au or give us a call on 1800 66 66 46.